Author, journalist and academic HARRY BROWNE has caused quite a stir with his new book, The Frontman – Bono (In the Name of Power). 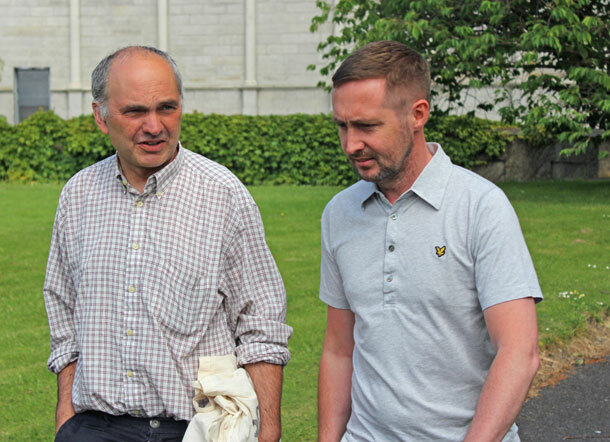 An Phoblacht columnist EOIN Ó BROIN caught up with Harry to discuss the book and the public and media reaction to it. BORN in the United States, Harry Browne has lived and worked in Ireland since the 1980s. 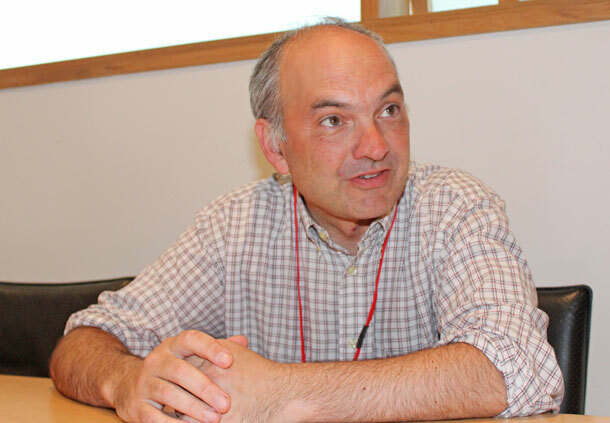 He describes himself as a radical pacifist, an egalitarian and an anarchist. 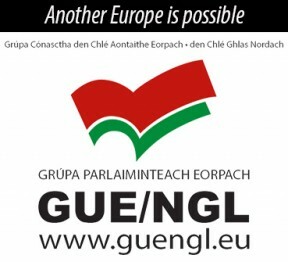 Never a member of any political party, he is a well-known figure among the independent Irish Left. His first book, Hammered by the Irish, tells the story of the Pitstop Ploughshares group who tried to dismantle a US warplane in Shannon Airport in February 2003. His new work, published by Verso, has a very different focus. He has gone from writing about a group of people that he loves to writing about a person and a set of ideas that he is deeply critical of. 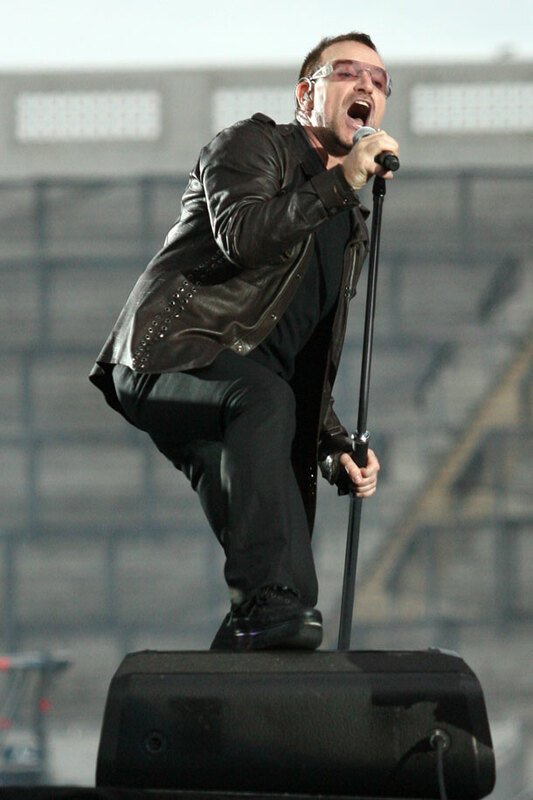 For Browne, U2 frontman Bono is “the caring face of the global elite . . . He confers humanitarian cover on warmongers, on imperialists, on corporations and governments” – so much so that he thought it was “important enough to take that on”. The Frontman is not a biography of Bono’s musical career or of Paul Hewson the person. It is a critique of the political positions, alliances and campaign commitments of the U2 singer. “Bill Gates has paid out tens of millions of dollars to Bono and his ONE campaign. That’s serious. That’s a serious person who has a very serious agenda for development in Africa and who regards Bono as a very important means to advance that agenda. But The Frontman is about much more than just Bono. It is about ‘celebrity diplomacy’. And this is the real target for Browne. • Harry Browne speaks to Eoin Ó Broin about his new book "The Frontman – Bono (In the Name of Power)"
For Browne this use of celebrity “is part of a shift towards less transparent, less accountable form of governance” where “corporations, foundations, celebrities and multilateral institutions, that don’t have much democratic accountability, are deciding policy”. And it is here we get to the heart of Browne’s critique. He argues that the question of power is crucial. 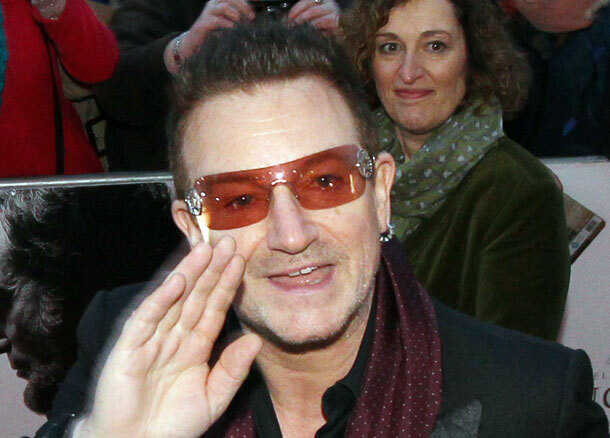 Browne cites Bono’s ‘Product Red’ campaign as “a great example where the enormous power of multinational companies is dressed up as an act of giving, the act of consuming and interacting with these massive corporations which are designed to make profit is turned into a humanitarian act and the winners in that are very clear”. For Browne the “pre-eminent winners” are the corporations; the losers may be others’ charities. 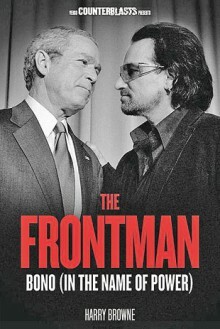 The purpose of the book, Browne says, is to get people to think more critically about Bono and the type of celebrity diplomacy that he represents. But the author also wants to promote an alternative form of activism “that doesn’t involve always kissing up to power”. In the end it is this failure that motivated Browne to devote his time and energy to producing this critique of Bono. Not only does he want us to take a second look at the politics behind the wraparound shades but also to consider an activism “that shouldn’t always serve power and hopefully never serves power, even if it occasionally compromises with power”. FOR SOME YEARS I talked about writing a book on the politics and finances of Bono and Geldof. Thankfully, Harry Browne got there first. The Frontman is a powerful critique of the politics of U2 singer Paul Hewson, aka Bono. More importantly, it challenges the too often unquestioned consequences of celebrity diplomacy. It’s published as part of Verso’s Counterblasts series, whose aim is to challenge the mainstream perceptions of high-profile public figures. And Browne takes to this task with gusto. No story is too small to tell, from Bono’s early days in the Dublin music scene of the 1980s to his shoulder-rubbing with world leaders in London and Washington in the 1990s and since. The book is divided into three neat sections: the first deals with Ireland, the second with Africa, and the third with the wider world. Browne describes and then critiques Bono’s involvement in various campaigns from Self Aid in Ireland during the unemployment crisis of the 1980s, to Live Aid during the food crisis in Ethiopia, to the campaigns to reduce developing world debt in the run-up to the 2005 Gleneagles G8 summit, to his more recent initiatives to raise funds for organisations such as DATA (‘debt, AIDS, trade, Africa’) “created for the purposes of obtaining equality and justice for Africa through debt relief”. The Frontman also retells the story of Bono’s involvement in U2’s massive and legal tax avoidance scandal. The weakest section of the book is the first, partly because Browne has less original source material to work from and partly because he over-uses stories that even he himself admits are untrue or unverifiable gossip. That said, the book really comes into its own in the section on Africa. Browne lays bare the hypocrisy of Bono’s celebrity diplomacy and highlights the damage being done in the name of helping others. The real beneficiaries, according to The Frontman, are those with power: governments, corporations and elites, including celebrity elites. Harry Browne challenges the idea of Bono as a benign do-gooder who at worst does no harm. Instead, he argues that he is an integral part of a nexus of power relations involving major corporations and world leaders. His function in this nexus is to make bad things look good. Some media reactions (such as in the Irish Times and Sunday Independent) have tried to dismiss Harry Browne’s book. In doing so they have laid bare their own prejudices. Others, most notably RTÉ, have just ignored the book, damaging their own credibility in the process. However anyone with a real interest in politics and its interaction with celebrity will value The Frontman. Its arguments are provocative and so they should be. Power must always be subject to the searchlight of critical enquiry, irrespective of whether that power is wielded by a dictator, a democratically-elected head of state or the world’s most powerful rock star. The Frontman is a must-read. Some pages will enrage you, others will just annoy you, a few will even make you laugh, but in the very best tradition of the radical pamphlet it will educate you and hopefully motivate you. Not enough books these days can claim to do that.